Dreadlocks Mobile is pleased to announce the release of long-awaited new episode for Mimpi Dreams on Steam (PC/Mac/Linux), Android and iOS along with release of a game update that contains many improvements and additions. This is an attempt to revive the game, after the original team behind Mimpi Dreams, Silicon Jelly, ended their operations in 2016. Its core team of designers developed this new episode under the wing of Dreadlocks Mobile. 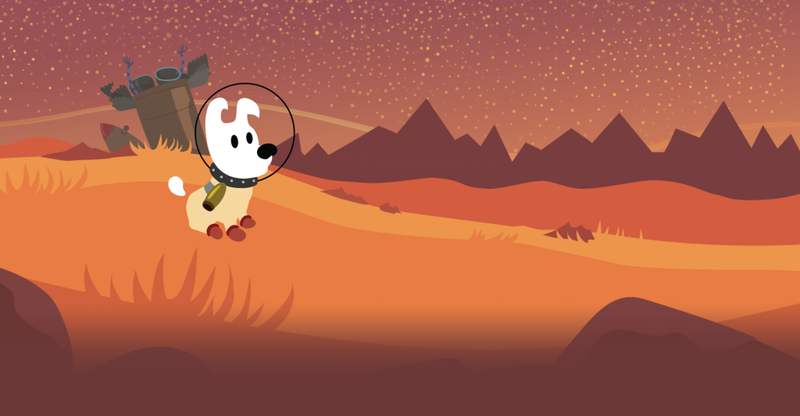 Mimpi’s new episode, a dream of Mars, is a real tribute to this resurrection. It is larger than all previous levels together. Larger than the whole rest of Mimpi Dreams. It is made of thousands of graphical assets and hundreds of sounds, contains a new story, new puzzles and hiden areas. After the game is updated, this new episode becomes available for purchase directly in the game’s main menu. For two years Android players begged for a change of the monetization model of Mimpi Dreams. Free players had only 2 lives to finish the level, or they had to start over, unless they bought unlimited lives. This new update replaced this with episodic model. The first five episodes are now completely free and the only thing that players are asked to buy are new levels. The same model has been applied to the PC version on Steam. Free on AppStore for a limited time. To celebrate this large update we’re giving away Mimpi Dreams for free also for Apple users for a limited time. This 100% off sale will last only few days. The game is available on PC, Android and iOS. Mimpi Drams is a casual game about lazy doggy who becomes the “Superdog” in his dreams. This game has been played by 2.5M players all over the world and it has been many times awarded for the best casual puzzle/platformer. It’s released on iOS, Android, Amazon, Apple TV, Steam – Windows / Mac / Linux and new platforms are on the way. Dreadlocks Mobile, originally named Silicon Jelly, arose out of the successful creative agency Prague Bistro, in 2011. The studio created the extremely popular games Mimpi and Mimpi Dreams, which have already been played by more than 3.5 million gamers. The studio additionally created a series of ‘Little Mole’ games for kids and a casual action game, Bugocalypse. In February 2017, Silicon Jelly was acquired by Dreadlocks Ltd and transformed into the new Dreadlocks Mobile. This re-formed studio aims to maintain and further develop Mimpi Dreams, as well as to produce high-calibre new mobile titles.